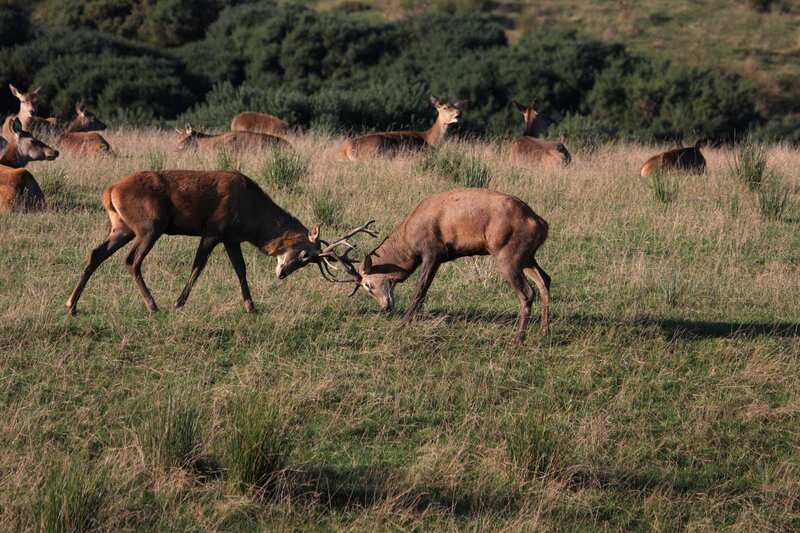 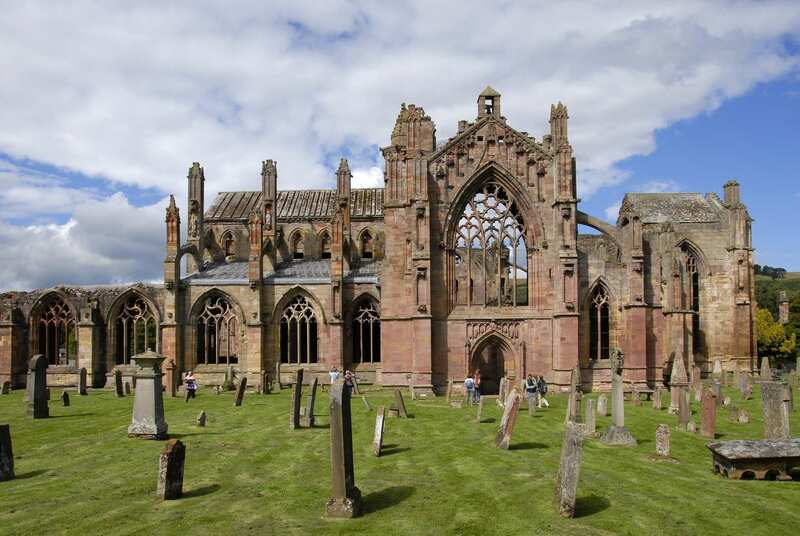 Tour the farmland and forests of the Scottish Borders between four ruined monasteries on a self-guided walking holiday, with accommodation and luggage transfer. 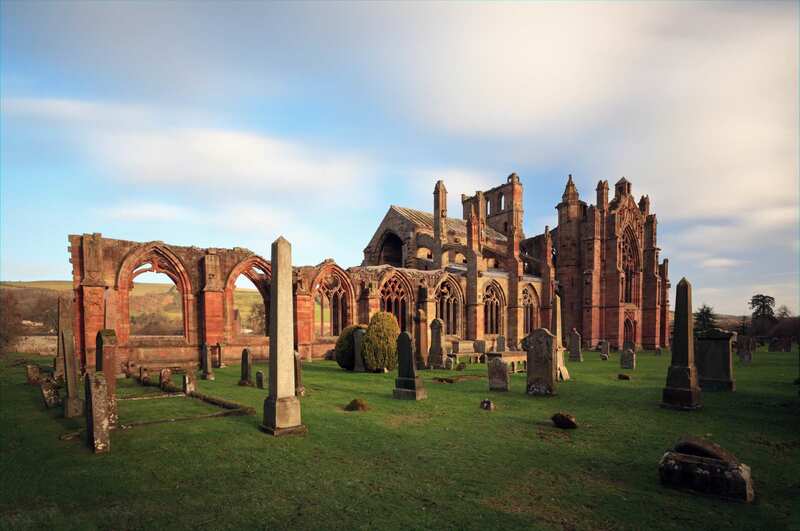 A circular walk through the heart of Scotland's border towns, visiting the ruins of four great abbeys. 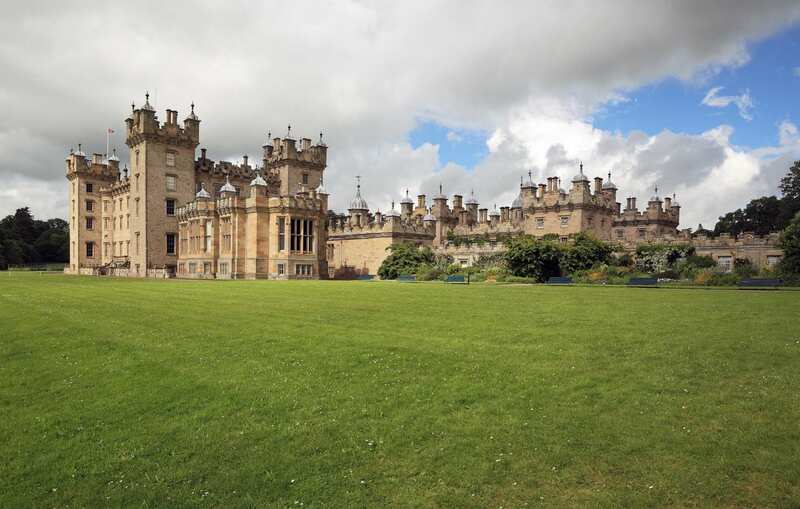 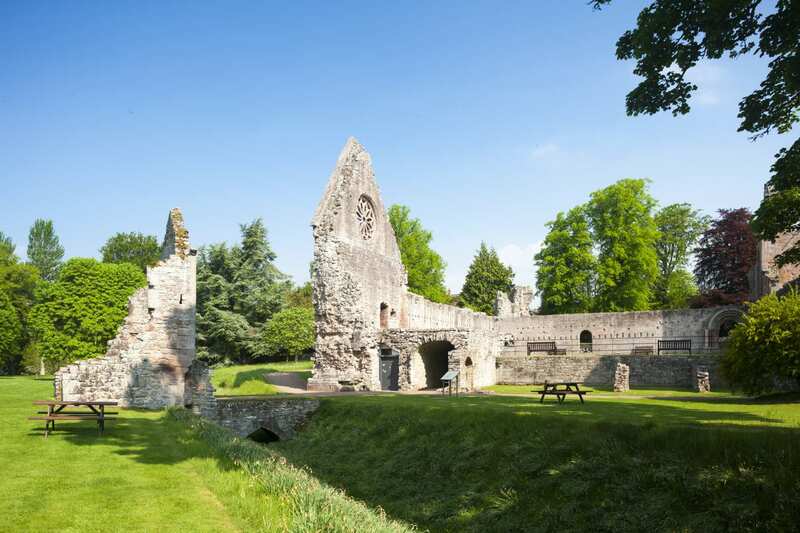 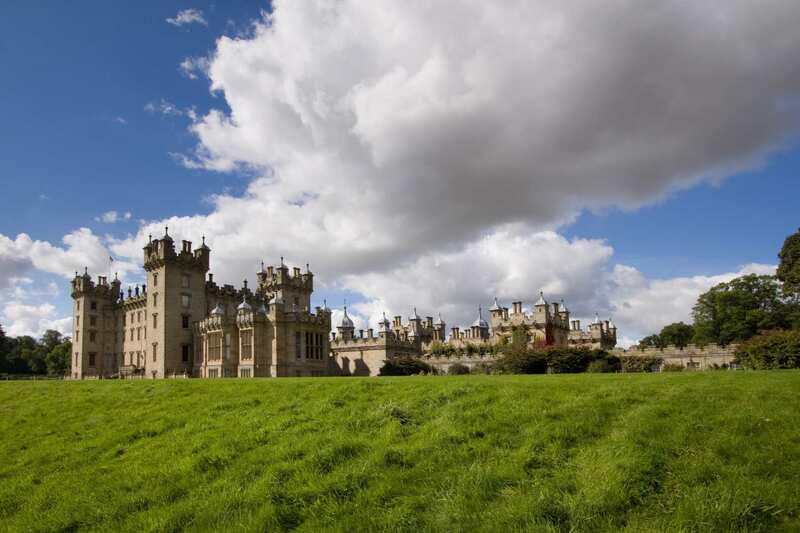 Take a walk through the rounded green hills, wooded riverbanks, pine forests and rich farmland of the Scottish Borders as you tour between four great ruined monasteries. 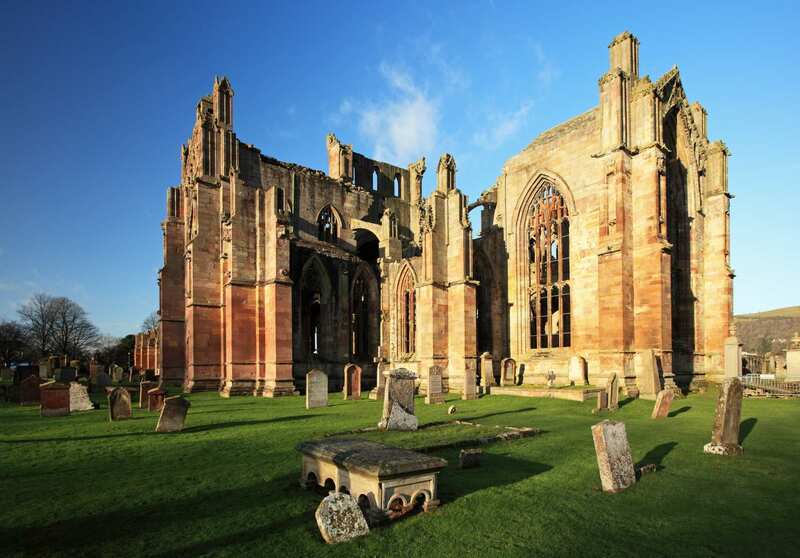 Each has its own distinct character waiting to be discovered: the vast abbey church at Jedburgh, the outstanding detail of every carving at Melrose, the domestic architecture of Dryburgh and the Romanesque style of the remaining tower of the formidable Kelso Abbey. 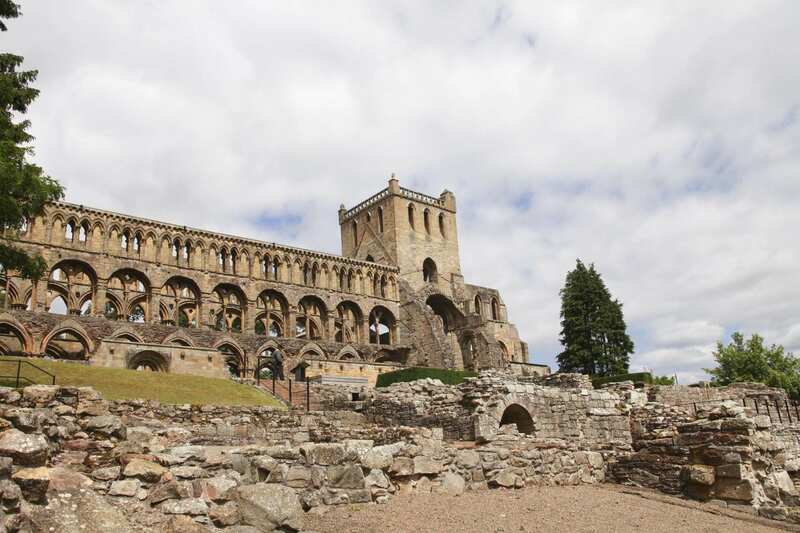 As well as the four iconic abbeys the route has much to offer besides, from its wide range of castles to its outstanding viewpoints over the surrounding hills and the glittering Tweed. 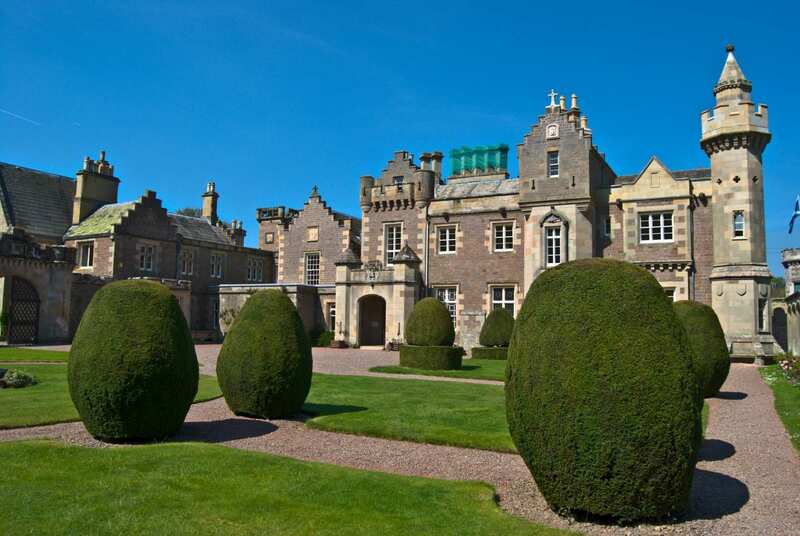 This is the perfect circular tour of a beautiful area studded with historic gems.